Of European origin but adapted to South African conditions, this was the wagon of 'The Great Trek', and for many decades after the treks it served as the most important mode of transport for the Boer people. As seen on many Jawbone wagons, this kit has the iconic high roof canopy hoops. Canvas was stretched over the flexible hoops and mats of woven grass were fixed up inside the high roof to give shade for the wives and children during the heat of the day's trek. 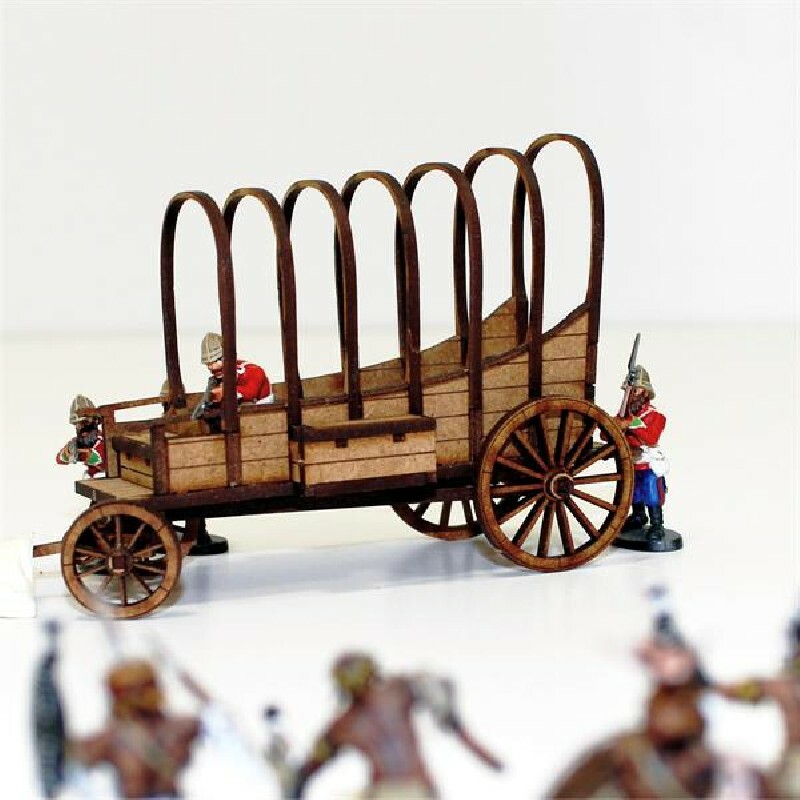 Often attacked by native warriors, Trekkers were very well armed and would always arrange their many wagons into a protective laager at night. 28mm Scale model supplied unassembled and unpainted. Figuers are for scale - they are not included. Visit our North Star Africa! pages to by drivers and oxen for this wagon.